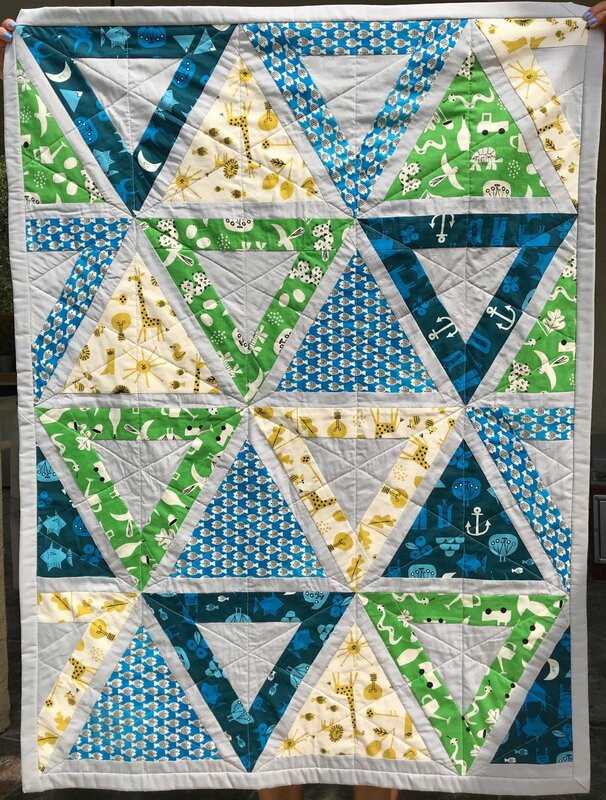 Our Zookeeper Quilt Kit contains the pattern from Jaybird Quilts, plus yardage to complete the quilt top and binding. Includes pieces from Christian Robinson's Spectacle Collection from Cotton + Steel. Backing excluded. Finished Quilt measure 35" x 48". 12" 60 degree triangle is recommended.